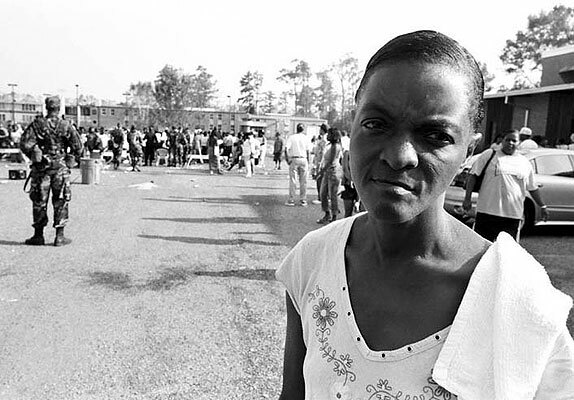 September 13, 2005 - Hattiesburg, Mississippi- During the aftermath of hurricane Katrina, a woman was waiting to receive food vouchers. She had just found out that the Red Cross would only be handing out 250 vouchers for the day, not nearly enough for the one thousand people who had been waiting in line for hours. Mississippi is the poorest state in the United States.